The U.S. Civil War’s leading contenders were, of course, the Union, made up of the Northern states, and the Confederacy, made up of the Southern states. Most would assume that is where the war’s geographical influence stopped. After all, the United States was a much smaller country at the time. However, interest in the western half of the continent played a significant role in the Civil War. Both sides wanted to expand into the area and claim its resources for themselves. 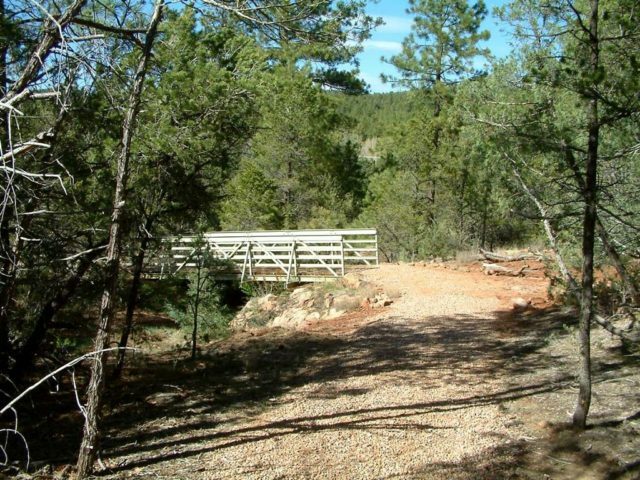 This interest led to a defining moment in the Civil War, known as Glorieta Pass. 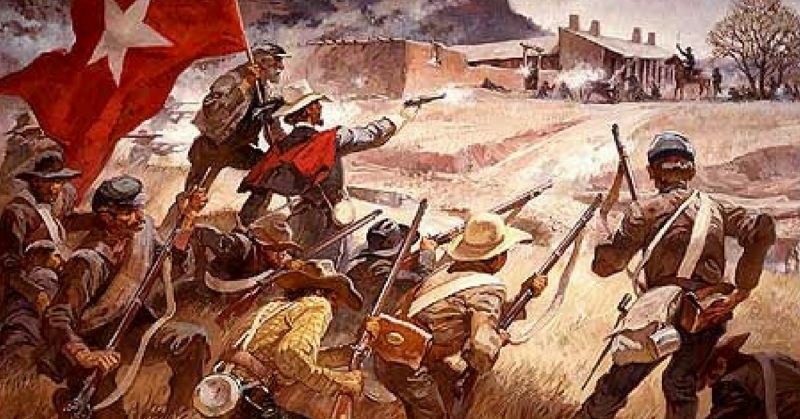 Taking place in what is now the state of New Mexico, the Battle of Glorieta Pass occurred in 1862. At that time, the area was known as simply New Mexico Territory. It was part of the New Mexico Campaign, led by the Confederacy, as a way to gain control of the Southwest. If able to do so, the Confederacy would not only have gained territory, but also considerable advantage and much-needed wealth through the gold fields in Colorado and California. An artist’s rendering of Glorieta Pass. The Battle of Glorieta Pass was named by some as the Gettysburg of the West. A rather dramatic title which has received quite a lot of criticism over the years. The Confederates hoped the battle would indeed be dramatic (though it was not) and it would be the final action needed to gain control over that portion of the continent. At the time, the Confederates did have an outpost in Arizona Territory, which incorporated parts of both what are now Arizona and New Mexico. They were able to do so partially thanks to succession on behalf of the actual citizens living there at the time. This made way for an easy Confederate entry. The Confederate’s western capital was Mesilla. The two main players in the battle were the Confederate brigadier general Henry Hopkins Sibley and the Union Colonel Edward Canby. Sibley had experienced previous victories by capturing both Albuquerque and Santa Fe, before the Battle of Glorieta Pass. Confederate Brigadier General Henry Hopkins Sibley. However, after this battle, he was transferred to Louisiana. There he developed a bad drinking habit, which led to many military mistakes. Otherwise, he was an ingenious inventor and is credited with creating new military tents and stoves, which were adopted and widely used by both American and British armies. 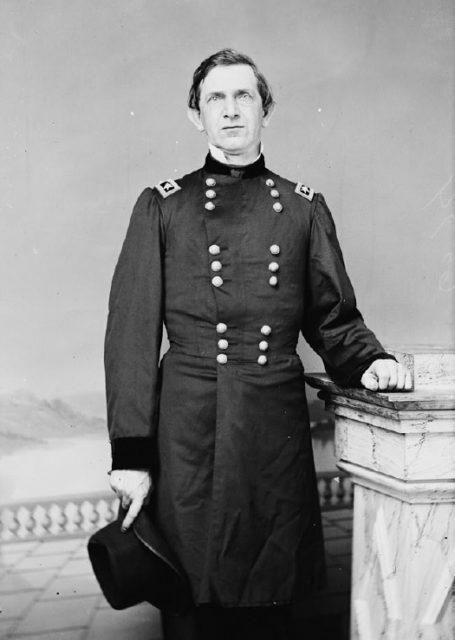 Canby, on the other hand, was a successful military player, who took command of the Pacific Northwest after the Civil War. He was the only United States general to be killed during the Indian wars when he died during diplomatic disputes with the Californian Modoc Tribe in 1873. 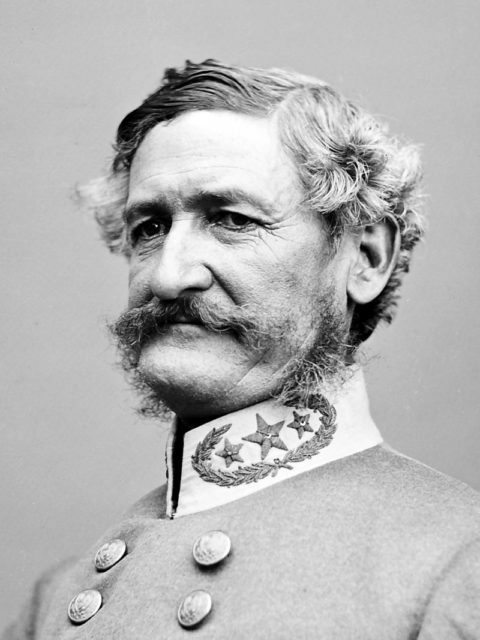 Union Major General Edward Canby. In March 1862, Sibley sent approximately 300 Texan soldiers to Glorieta Pass, a strategic location on the Santa Fe Trail. This would give the Confederates an advantage. If they succeeded, they would have an easy gateway to taking over the entire Southwest. 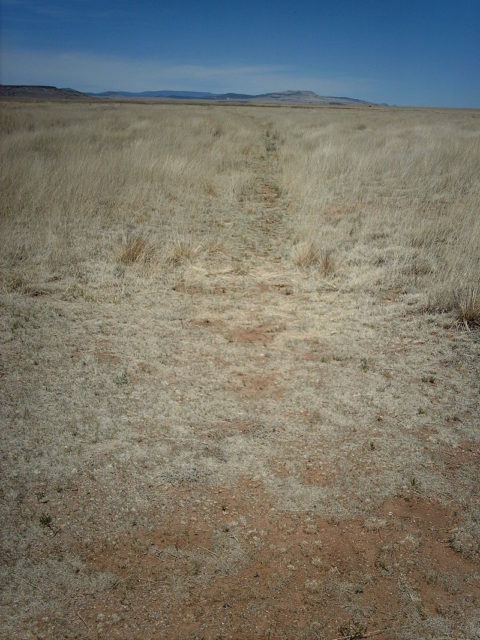 Union forces were simultaneously marching south from Denver, towards Fort Union and Glorieta Pass. They had to cover a vast distance of 400 miles in just two weeks, meaning they would have little time to rest before eventually entering combat. The Confederates camped at Apache Canyon, which was located at one end of the pass, with 50 men at the summit. The Union troops, with more than 400 soldiers, moved to attack shortly after their arrival. They found the 50 men at the summit first and quickly captured them, then moved on to the main group. However, the Union advance was halted by artillery fire. The Union troops split into two groups and met the Confederates on either side of the pass, forcing them to retreat. They did so, but only about a mile, where they formed a defensive line and began waiting for the Union soldiers to appear again. Upon their arrival, the Union soldiers flanked the Confederates once more, forcing another retreat. During this retreat, though, the Confederate troops became confused and disoriented and began to break up into clusters. Using this to their advantage, the Union troops captured some of the enemy soldiers and the rest dispersed. The Union troops then retreated, claiming a victory. The fighting paused as both sides received reinforcements. The Confederates had a large reinforcement of more than 1,000 soldiers. They began digging rifle pits while awaiting the Union advance. The Union troops were receiving their own reinforcements, of about 900 troops. On March 28, both headed out to attack. The Union soldiers went out to circle the Confederates. However, the Confederates were moving toward the Union troops much more quickly than anticipated. The two sides met in the late morning and the Confederate numbers outflanked the Union line, who retreated and took cover in nearby ranches. The Confederates continued to press forward with a three-pronged attack, with groups of men to the right, left and center. The left and center troops were mostly unsuccessful, but the troops on the right-side were able to outflank the Union. The skirmishes continued until nightfall, when the Union retreated. 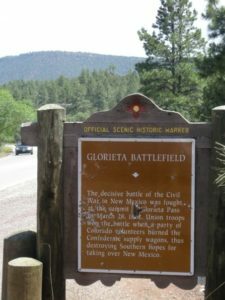 The historical marker for the site of Glorieta Pass. 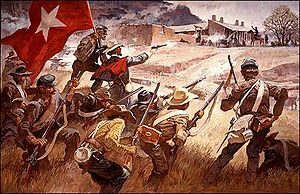 However, the tide turned when the New Mexican volunteers informed the Union that a Confederate supply train had been detected. New Mexico did not naturally produce enough food or supplies to outfit the Confederate Army, so all materials arrived overland. With this new information, the Union attacked, looted and destroyed the supplies, including 500 horses. This action won the Union victory in this battle. Regardless of their second-day superiority on the battlefield, it sent the Confederates back to Santa Fe and then San Antonio, as they now had no supplies whatsoever. The Confederates would not return to New Mexico Territory and were forced to give up the hope of conquering the much-desired Southwest.